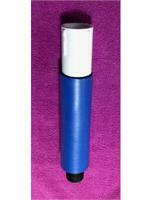 Hand-held shower sprays can also be used in place of a regular shower head, when used with the proper holder. 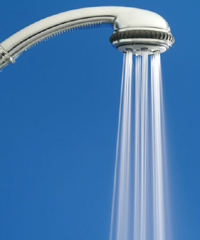 Let's face it: An ordinary shower can't reach everywhere. That's why a shower at home should have a hand-held shower spray. 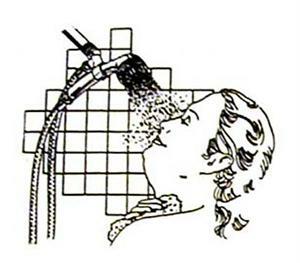 The trouble is, most spray accessories on the market these days have flow restrictors that make them "wimpy"—and most also have large-sized heads that do lots of tricks (different kinds of pulsating massage) but are very hard to manipulate, and still don't have a forceful stream of water to reach between folds of skin or other "problem" areas. This problem is compounded if your water supply is from a well pump, so your water is at low pressure. With an ideal hand-held shower spray, you would get a sufficiently forceful stream of water to be helpful, in a reasonably small spray head. It took us several years to come up with the selection below, after our previous models were discontinued by the manufacturer. 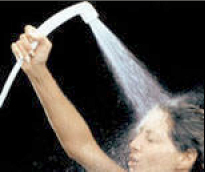 Hand-held shower sprays can also be used in a holder for regular overhead showering as well, in place of a regular shower head, but that use is optional. 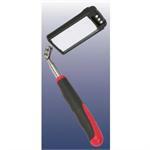 They are also very helpful for cleaning the tile, the shower curtain, and the tub or shower stall. Installation of all these devices are usually simple, and hand-tightening the parts is sufficient without the use of any tools. 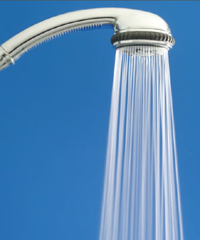 · diverter valve if you want to have a shower head separate from the hand-held unit. Note: The spray of this model works well even with low water pressure; it is not quite as intense as the "powermax" setting on the three-pattern deluxe spray, but the spray pattern is a little wider angle, so it makes a great shower head as well, when used with a holder. · A narrow "powermax spray" that is the most forceful of the three—to get to the most difficult-to-clean parts of your body. 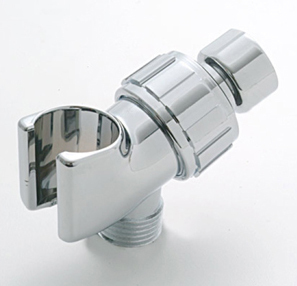 A diverter valve if you want to have a shower head separate from the hand-held unit. The Shower Spray Holder keeps the hand-held shower spray in position if you would like to also use the spray as your overhead shower head; it grasps the tapered portion of your shower hose, which slips in and out of the mount, when you want to reach up and take the hand-held shower spray down to use by hand, or replace it in the mount. 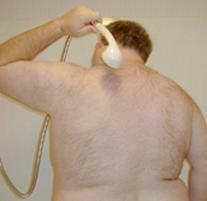 It also serves to hold the shower spray in the air, off the floor of the tub when you aren't using the shower. This holder screws onto the threaded pipe coming out of the wall that normally supplies water to your shower head. 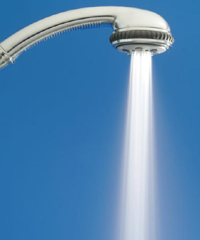 It has an adjustable ball joint to assist in aiming your shower spray when using it as your main shower head. 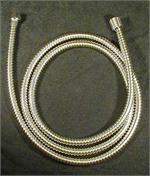 The hose that goes to your hand-held shower spray is then screwed on to the threaded part below the holder. Please note that if you need a hose or other accessories, you can scroll down and see those items under "Related Products."